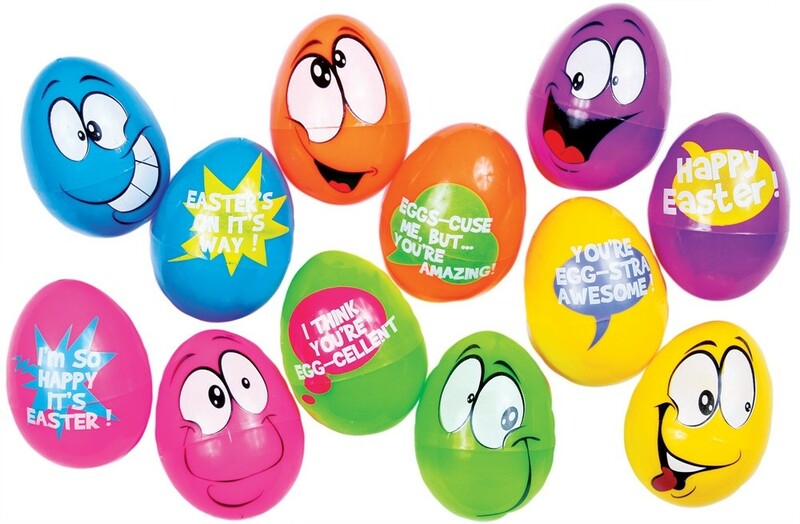 Comic burst Easter eggs are a hilarious addition to your children's basket! 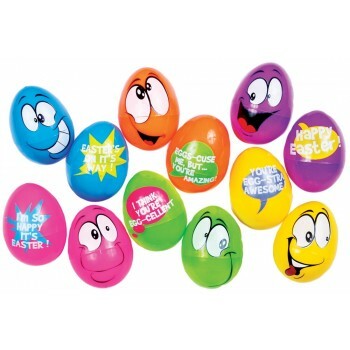 Package of 6 different colored eggs, each has a different funny face and saying: I think you're egg-cellent! You're egg-stra awesome! Eggs-cuse me - but you're amazing! Happy Easter! Easter is on its way! I'm so happy it's Easter! Eggs are approximately 3in long. No sharp hinges, each egg snaps together. Wash thoroughly before use.